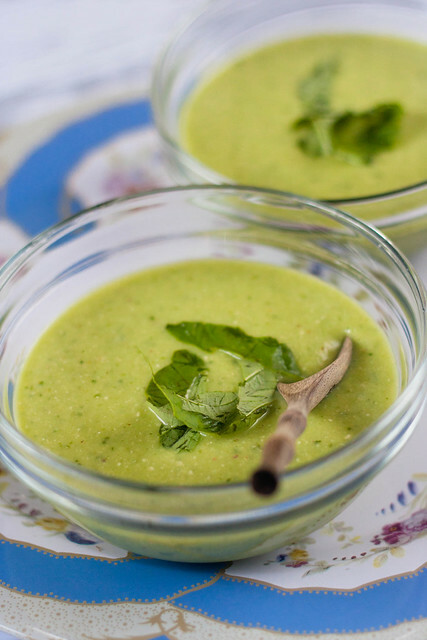 This started out as Louisa Shafia's Chilled Cucumber and Avocado Soup from her (relatively) new book Lucid Food. But there were other ingredients to be used, things I didn't have, and things I really wanted to throw in. As a result, you've got the addition of lemons, the substitution of hazelnuts (because yum, hazelnuts), the further substitution of basil, and a shallot thrown in for good measure. But the cucumber avocado combination spiked with jalapeño and cumin? That was all Shafia. 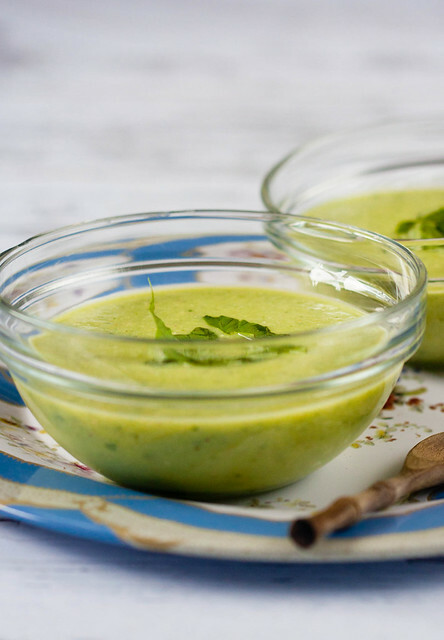 I know I'd been craving chilled soups all summer, and even now, into the fall. So if you're tired of them, I'm sorry. This is the last one, I promise. And anyway, I think we're still on the cusp where a chilled soup might be suitable for a light lunch or afternoon snack. I mean, some people eat ice cream well into winter. Cut the cucumber in half lengthwise and scoop out the seeds. Then cut into chunks. Scoop the fruit out of the avocado. Place all of the ingredients except the salt into a blender and blend. You may need to do this in batches. Pour into a bowl and season to taste with salt. Place in the refrigerator for a few hours until well chilled. Garnish with chopped hazelnuts before serving.